If you have any plans to buy 2012 Mustang Boss 302, be ready for a surprise, along with this great car you would also become a proud owner of Ford’s TracKey. But don’t ever think that this is an ordinary key. It comes equipped with great features. Hold on if you also propose to upgrade your Mustang, buy this red TracKey , which when used switches the dual-path powertrain control module or PCM from streetable pony car to 444 HP track-ready Stallion. 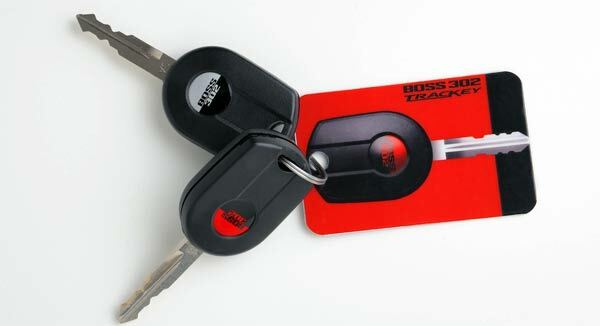 To make things clearer with the help of this small special red Trackey you would be able to turn your Boss Mustang into a race car. This great discovery reveals that we have actually entered into the next world. The outcome of TracKey is a joint collaboration between Mustang engineers and the Ford Racing dealer network. Along with the TracKey you can find a second set of solid PCM software instructions, in the TracMode software. This software has the potential to alter majority of 200 engine management parameters, thus increasing the low-end torque and turns the Boss Mustang into a 444 horsepower street machine, a competition-ready-track car. The car looks complete in all its features that can be retrieved in Mustang Cobra Jet, for example the car is equipped with two-stage launch control feature. No doubt the 2012 Ford Mustang Boss 302 looks awesome with its amazing muscle car bargain, but this car in reality gets a new lease of life and turn faster, after buying the special red TracKey. After using this key its owners get quicker throttle response, low end grunt, and two-stage launch control feature. As of now, no mention has been made about the price of this TracKey. When a car is delivered to the consumer, the TracKey PCM software easily adjusts the spark maps, fuel control, engine braking, and other important 200 engine parameters thus providing its owner a complete race-car calibration. After getting the smart TracKey, consumers also get along a complimentary track day offered at Miller Motorsports Park in Tooele, UT. More details are available with the franchises of Mustang Boss 302. 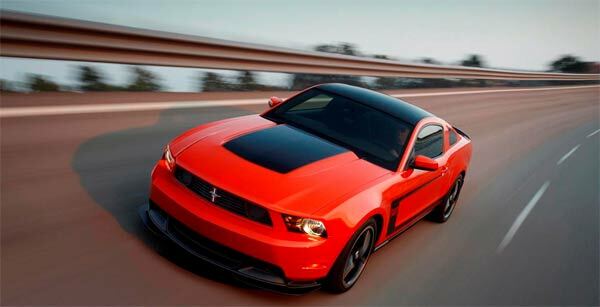 After reading the raves of the Mustang Boss 302, a lot of reviews have started coming in, for example a reader has written that this new technology should also have parental control in it. Like if a person buy the Mustang and didn’t want his teenage children have access to the racing car feature, in that situation what should be done is a million dollar question? Other products you may like to read include Raptor VX9 GTR – Vehicle of the New World Order and Aurora Spacelines – One Giant Leap for Businesses.